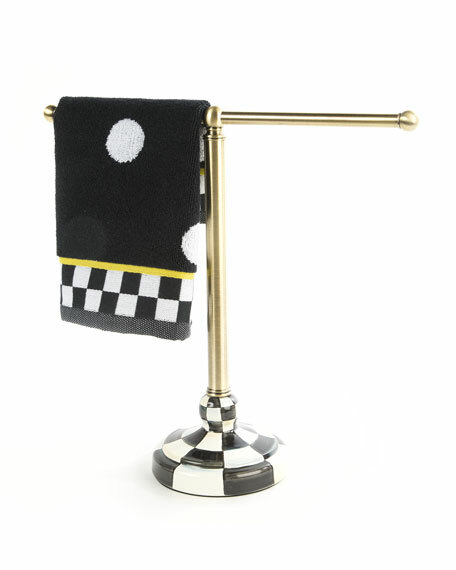 Handcrafted Courtly Check® tea towel stand. 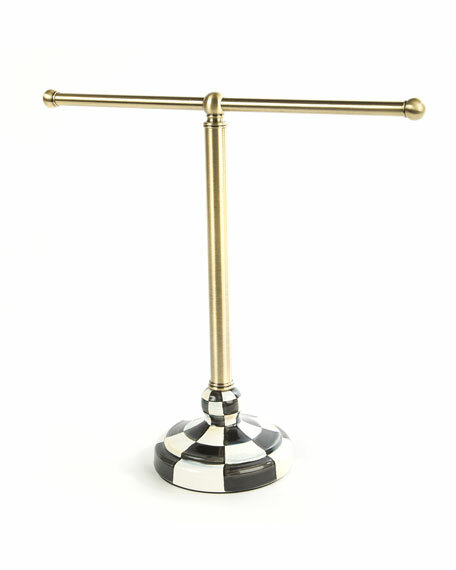 Antiqued brass-finished stainless steel T-post. Hand-glazed, hand-painted, heavy-gauge steel Courtly Check base.